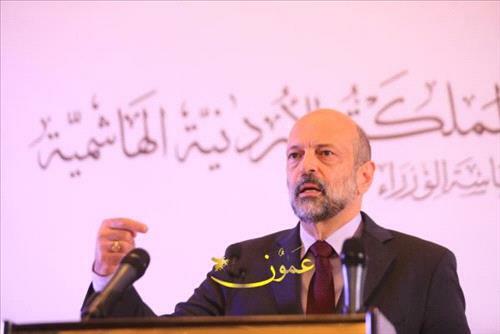 AMMONNEWS - Prime Minister Omar Razzaz said His Majesty the King has directed the government to focus on young people and engage them in development plans and support their employment opportunities. During a press conference held on Tuesday, the prime minister reviewed the 2019 government's plan of action and the first quarter's achievements, stressing that the government has pledged to develop a mechanism of action that includes priorities and indicators of citizens' expectations of what has been achieved and challenges and opportunities facing the Kingdom. He noted that these challenges do not have quick solutions and dealing with them in a temporary manner is a wrong, indicating that the government is working on radical and structural solutions to problems and challenges, requiring patience, effort and participatory work between different entities and institutions. The prime minister spoke about the geographic distribution of jobs offered by the Ministry of Public Works and Housing within tenders and government projects in coordination with the private sector and distributed throughout the Kingdom in three areas, most notably engineering, technical and other professions. Razzaz reviewed a number of indicators within the national renaissance project, which is based on three axes: the state of law, the state of production and the state of Takaful, to which the government now moving toward. Razzaz said the state of law preserves human rights and duties, and the state of production preserves human dignity and unleashes its energies and promotes visions of human attitudes to be applied on the ground. He aded that His Majesty King Abdullah directed the government in the letter of designation and the speech from the throne towards a comprehensive national renaissance project in order to achieve what is hoped and expected about the second centennial of the Jordanian state, stressing the need to work and strive to transform challenges facing Jordan into opportunities.